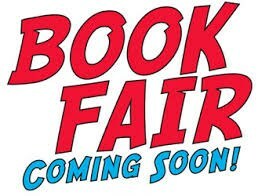 Once Again, The Scholastic Book Fair is Back!! Mark your calendars for our Family Event!! Apr. 29th - May 3rd! Come join in the fun, and contribute books to your child's classroom library. All are welcome and volunteers will be appreciated! Parents are welcome to volunteer during the day by contacting Mr. Parker at 252-823-7834. The book fair schedule is listed below.